The CRTC has made a decision this week that could change the way we use the Internet forever. They have approved Canadian Internet Service Providers to implement Usage-Based Billing (UBB), which puts an end to unlimited Internet plans. Now, you will be charged on what you use and what providers want you to “over use”. 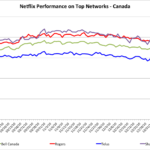 What perfect timing especially when services like Netflix Canada have started to take off. In today’s world, video and streaming multimedia rule our lives. Wired ISPs have large fixed costs of building and maintaining their last mile network of residential cable and fiber. The ISPsâ€™ costs, however, to deliver a marginal gigabyte, which is about an hour of viewing, from one of our regional interchange points over their last mile wired network to the consumer is less than a penny, and falling, so there is no reason that pay-per-gigabyte is economically necessary. Moreover, at $1 per gigabyte over wired networks, it would be grossly overpriced. We need to stop this blatant cash grab. Fight back and join over 75,500 people that have already decided to say enough is enough.VisitÂ StoptheMeter.ca and sign the petition. Our Internet future depends on it! 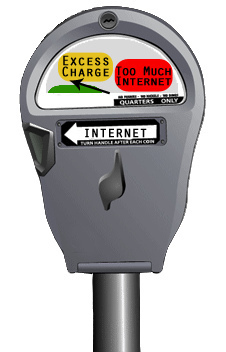 Do you agree with Usage-Based Billing for Internet in Canada?